Cinthia works behind-the-scenes with our expert Travel Designers and operations team to ensure that each and every detail of your journey is in place! Cinthia has a passion for traveling and cares deeply about our clients, making her the ideal fit as Kuoda’s Operations Manager. She loves spending time with her husband and young daughter, and takes care of Kuoda guests as if they were her family, too. 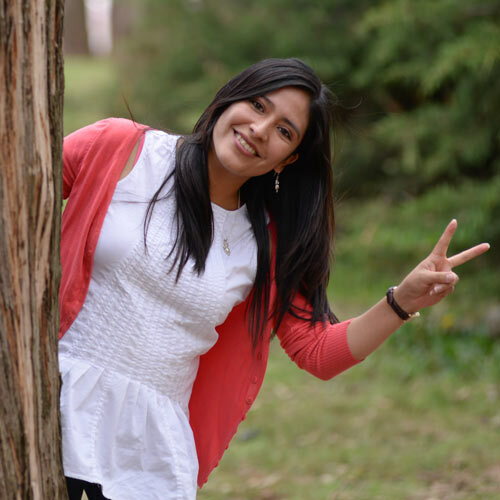 Cinthia thrives on the responsibility and creativity inherent in her job, and wants all of our clients to return home knowing they have life-long friends in her home town of Cusco!